The traditional cup-shaped vacuum cups are useful for handling and gripping small objects that come with surfaces that are flat, concave or convex. 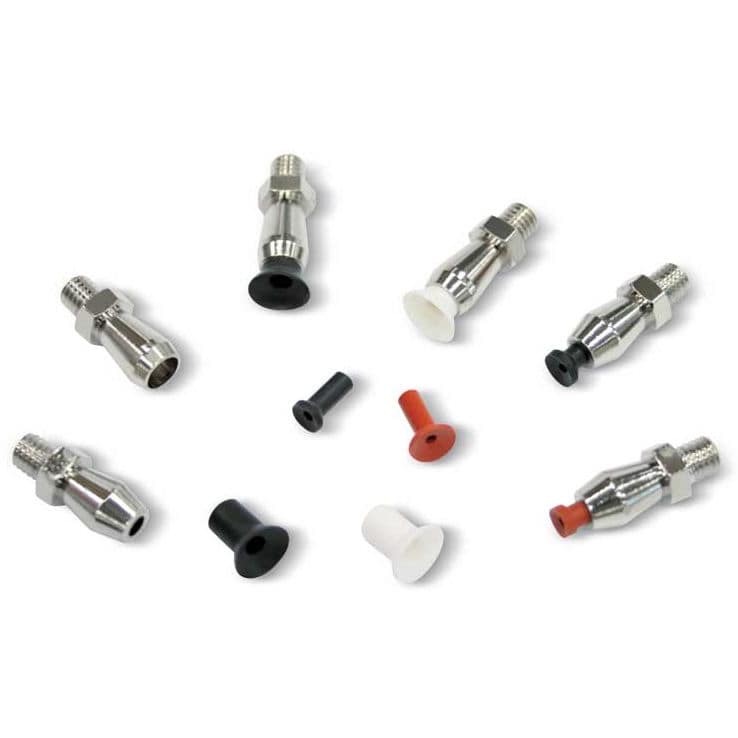 The series of products contains widely used cups that come with a diameter of 4 to 9mm, being available in standard compounds, such as oil-resistant rubber A, silicon S and natural para rubber N. These products can be cold-assembled with no adhesive onto a brass support that is nickel-plated. This support has been shaped to fit the cup perfectly, being equipped with a male-threaded pin for optimized fastening to the machine. The cups are extremely easy to replace, with requests for the cup being indicated in the table in the desired compound. Note that the cups come in special compounds, supporting different materials that can be provided upon request.